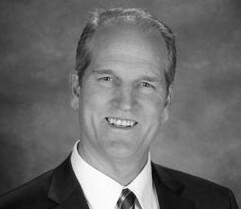 Robert Walter is the General Manager and Senior Vice President of Cresleigh Homes Corporation, California. Robert has 30 years of home-building and development experience. He leads the Cresleigh California team in building multi-family, mixed use projects and single family communities across the Sacramento and San Francisco Bay Area regions. Prior to joining Cresleigh, Robert served as a member of the start-up team that founded Blackpine Communities as well as Managing Director of Maverick Partners West LLC, a real estate investment / development firm. Previously, Robert served as Senior Vice President for Morrison Homes/Taylor Wimpey, a UK based builder/developer, where he led four homebuilding divisions across California, Nevada and Colorado in building 1,500 homes per year. Robert is passionate about housing, innovative design, and land use and is a leading voice in the region on adapting best practices in Northern California in the pursuit of urban development. Robert is a leader in sustainable development practices. He collaborated with the Sacramento Municipal Utility District to design and build the SMUD Home of the Future, which was the first LEED Platinum Home for the Sacramento region. The project was used to demonstrate best practices for sustainable building to policy makers and other builders. Robert is an active board member for both Sacramento Region Business and the California State Parks Foundation. He is an active member of Lambda Alpha International, a land economics society in Sacramento. He has served on the Board of Directors for Home Aid of Northern California and was past Board Chair for the North State Building Industry Association. He is a licensed California general contractor and licensed real estate broker. He holds a Bachelor of Science degree in Business from California State University, Chico.